Sparks were expected to fly at the second Republican debate that was organized by CNN earlier today in California. 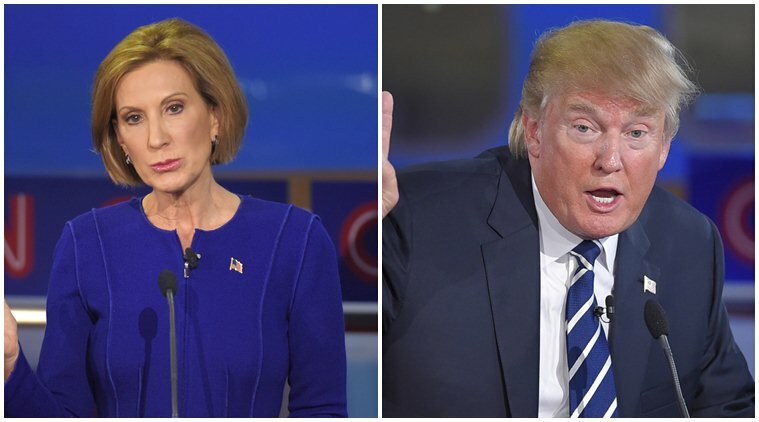 Among the crowded field of Republican contenders for the White House in 2016, what stood out perhaps was how Carly Fiorina, former CEO of Hewlett-Packard, responded to front-runner Donald Trump on the comments he passed at her looks recently. Trump had recently commented on Fiorina’s looks by telling the Rolling Stone magazine, “Look at that face! Would anyone vote for that? Can you imagine that, the face of our next president? !” Trump’s remarks were widely condemned by activists and politicians and fired up an already-intensifying rivalry between Trump and Fiorina. Fiorina, the only woman so far in the Republican contenders field, got support from leading Democratic candidate Hillary Clinton. As for Trump, he has been, time and again, criticised for his often brash remarks on his competitors and his unconventional solutions to policy issues. But in spite of that, he continues to lead the popularity ratings of Republican contenders soaring past everyone else.